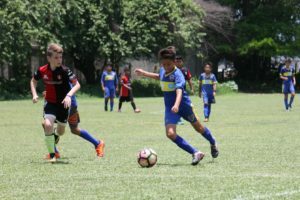 Noah Benjamin, of the 07B Gold team, recently traveled with his family to Mexico. 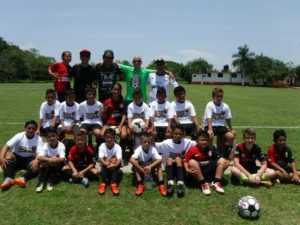 The Benjamin family brought donated soccer gear from families of Placer United and Noah participated in training and games with the Atlas Vallarta Soccer Academy. The Benjamin’s pulled into the village at a small convenience store and told one of the locals they had a number of donated items for kids and within minutes, over 40 kids and adults were at the store to see what the family had brought. 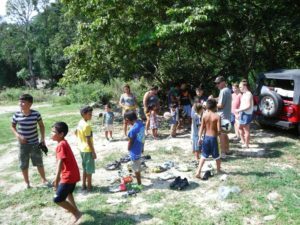 Many of the kids were shoe-less, so cleats and soccer balls were the biggest hit. The Benjamin family each grabbed a ball bump and inflated soccer balls as quickly as possible. The locals were very appreciative! 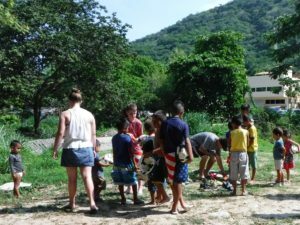 The second stop was another small village outside of Boca de Tomatlan. The jeep came in handy as the Benjamin’s had to cross a river that was 75 feet across. A normal car may not have made it. Again, the Benjamin’s were quickly surrounded by kids who were excited to receive gifts. 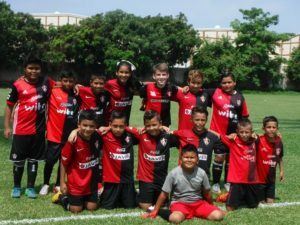 Later in the trip, Noah trained during the week and then played the final ’06 league match of the season for the Atlas Vallarta Soccer Academy. 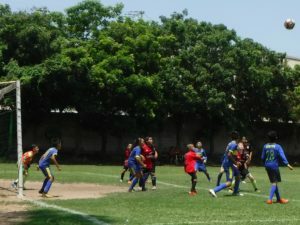 They played against the Boca Jrs ’06 of Vallarta for third place. 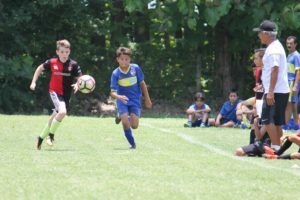 Noah played all 70 minutes in a 5-3 loss. 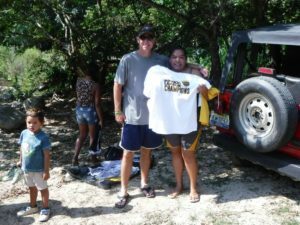 “It was a great experience for him to play in a completely different environment without knowing a ton of Spanish,” said Coach Ron. 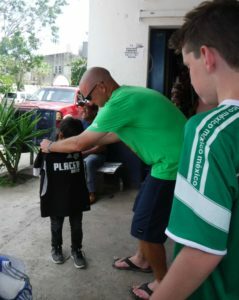 The Benjamin’s want to thank those of you from the Placer United Family who donated items for this trip. It was a very fulfilling experience. Go Placer!